It’s finally here! 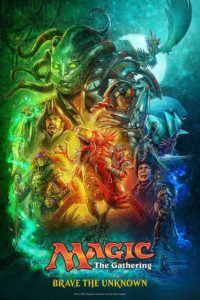 Jace and Vraska making trouble, vampires, dinosaurs, pirates…it’s like Walking Dead mixed with Pirates of the Caribbean and saturday morning cartoons, and it’s awesome. To further fuel the hype train (no brakes! ), click here to check out the set list or visit the Wizards site here for more information about Ixalan and and a bit of backstory entitled Jace, Alone. Join us for Sealed at 9am, 2 Headed Giant at 3pm, and Sealed again at 9pm. The prize support will flow, people will talk like pirates, and a good time will be had by all! Updating a new website is tough! We’re feverishly typing up content to update the new site, in order to bring you the latest news, events, new releases, tournaments, and all manner of gaming stuff. In the meantime, you can watch our facebook page for updates. Look in the sidebar to the right or visit us at this link! As we move into the second half of September, there’s plenty to be excited about – we’re hosting a prerelease party for the new M:tG set, IXALAN, starting at 9am on September 23rd. If you love flipping cards, rolling dice, and moving tiny soldiers, we’ve got a Malifaux tournament on Saturday the 23rd at 11am and a Warhammer 40K tournament on Sunday the 24th at 9am. If that STILL doesn’t grab your attention, we’ve got tons of board games (and a library to try a new game you’re curious about), plenty of space for your RPG game, plus more paint, dice, snacks, drinks, and fun than you can handle! Thanks for staying patient while we update – we’re pretty sure you’re gonna love it! Big changes are coming to Terracrux, including an improved website and new events for Magic, Warhammer, board games, RPGs, and more! Keep an eye on Terracruxgames.com and visit us in the store to stay informed and be the first to join the action!